I have been fortunate to be able to photograph the quilt work of Heather Williams . Her quilt work complements her academic work as a historian. Some of the images are of an entire quilt; others feature quilts segments that were interesting for the details of textile and imagery. Images from her quilts will be used to provide a visual context from an upcoming dance performance in May, 2014. For details on the performance and the Souloworks group see the Souloworks website . To be clear, these quilts are the creative work of Heather Williams. My copyright mark applies only to the photographs of her quilts. 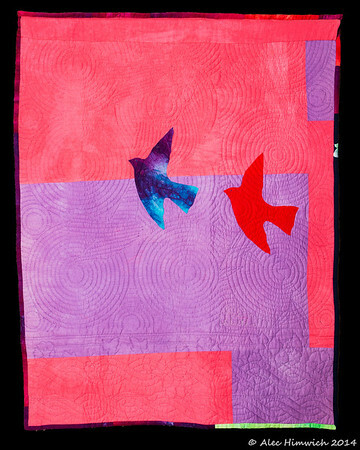 Prints and downloads of the images of these quilts are not for sale. For additional questions about prints or downloads, please contact Heather Williams. Reverse side of this quilt.